CSA T20 2018: What is the status quo? Cricket South Africa CEO Thabang Moroe. Picture: @OfficialCSA/Twitter. 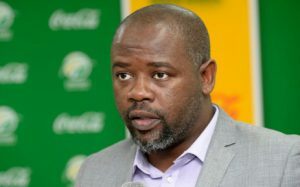 After the collapse of the T20 Global League in 2017, Cricket South Africa (CSA) was under real pressure to come up with a replacement tournament. After months of speculation, the board of CSA on 8 September eventually gave the green light for an international T20 tournament to be hosted in South Africa over November and December 2018. The tournament will run from 9 November to 17 December (the 17th being the reserve day for the final). Six teams will compete in the league and the selected venues to host the teams are the Wanderers Stadium, SuperSport Park, Kingsmead, St. George’s Park, Newlands and Boland Park. The new-look T20 league will no longer be called the T20 Global League. According to CSA it will have “a name that uniquely represents the nation”. The new name has not been announced yet. The CEOs that are currently running the six host venues will essentially be the team managers and they will appoint their coaches. CSA has encouraged the CEOs “not be shy in terms of looking at international coaches and not just to look at local talent only”. But as far as we know only local coaches and their current support staff will be appointed. On 26 September CSA opened registrations from South African and overseas players interested in participating in the tournament. CSA vetted all registered players; those who were accepted were notified to complete and submit an Agreement to Enter the Draft by close of business on 2 October. CSA will soon announce who these players are and will then facilitate a player draft on 17 October where the six teams will secure their players. The players are divided into three categories: a) Foreign overseas players who do not hold a South African passport and who are not eligible to play for South Africa. b) “Returning Kolpak” players are players who have formally declared their intention not to play for South Africa. c) South African players who are eligible and available to play for South Africa and are currently contracted either at national, franchise or senior provincial level in South Africa. The six teams will play a total of 32 matches on a home and away basis, culminating in two semi-finals and a final. Each team will have 16 players, including a minimum of three and a maximum of four overseas and “Returning Kolpak” players. Players picked at the draft will be contracted by CSA and not the teams. Some players will be unavailable for the first few days of the league because of the Proteas’ limited overs tour to Australia which finishes on 17 November. A few overseas and “Returning Kolpak” players will also be unavailable for about a week mid-tournament because of prior commitments to the Dubai T10 League. The Board of Control for Cricket in India will make some of their senior administrators, who have extensive experience in running the Indian Premier League, available to assist with the smooth running of our tournament. For the rest CSA has been mum on issues such as the place for the draft, tournament sponsors and the exact nature of their relationship with the SABC. « Is professionalism destroying sport?